This is a great time to show all kinds of people how much you care. But what if you're unsure about what to send? The Best Gifts for YOUR Valentine! Sure, a diamond lasts forever, but chocolate makes you feel great now. Obsessive Sloth Disorder – A Warning to Gamers! What exactly is Obsessive Sloth Disorder? Well, it seems to infect people who play the game Splat-A-Sloth. Valentine's Day is here, and what better way to show off your Valentine's Day spirit than dressing up your pets? Have you thought about what you're going to pass out to those you've shared happy times with all throughout the year? This article will give you five good reasons to stop yourself from becoming Jhudora's next victim, and to do Illusen's Quest, because we all know that Illusen is much better, right? Sloth to Claim his Vengeance? 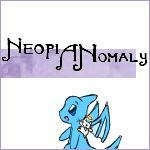 You’re reading advice from a cheap, sentimental Neopet to cheap, sentimental Neopets everywhere. You THOUGHT you knew about Lennies. What Type of Fangirl Are You? Have you ever wondered what type of fangirl you were? Whether you were a calmer, more laid-back fangirl, or a true rabid-fangirl? Siyana looked at Tor and Altador. Her eyes were filled with worry and fear. "I don't understand what's taking so long. Fyora told us that she'd meet us here..."